Well time sure does fly, doesn't it? 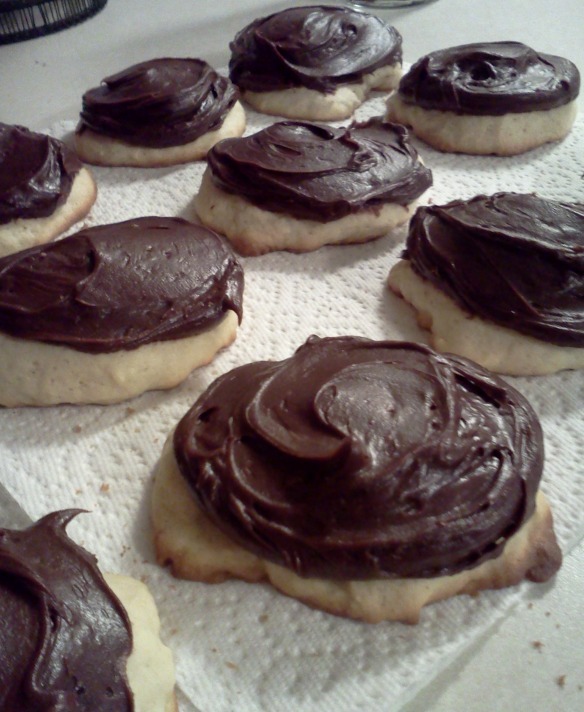 It has been one year to the day that I posted my first recipe on this very blog. That cheesecake is still one of Jason's favorites and he STILL talks about it. Guess I should make it for the man one of these days huh? To be honest, I forgot that it has been one year. A lot of things have happened for me. I started this blog, moved cross country, got a dog, got an apartment, had it burn down, got another apartment.. Man the list goes on. To celebrate I made these. So glad that I did! 1/3 C canola oil, or vegetable oil. Once you make them, roll them into balls, and freeze for two hours. After the two hours, preheat the oven to 375 degrees. Spray a baking sheet with cooking spray and set aside. Mix brownie mix, vanilla, egg, oil, and water until fully combined. Drop by spoonfuls onto baking sheet and with the bottom of a small glass, flatten slightly. 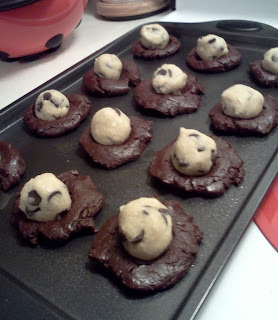 Take the cookie dough balls out of the freezer and press into the brownie mixture. Bake at 375 degrees for 10-12 minutes. 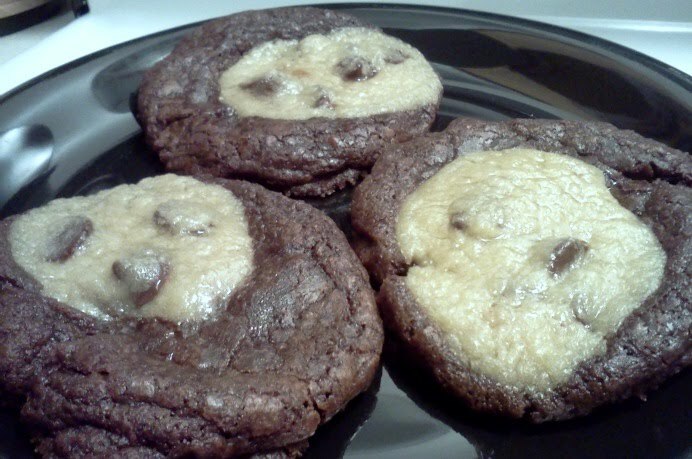 These cookies are ooey, gooey, goodness. So don't be alarmed. Just let them cool, and chow down. Makes about 16 cookies. Thanks to everyone who follows my blog, I appreciate you all. Why didnt you make these when you came to Florida!!!!?!?!?! ?